Industrial print has been around almost as long as manufacturing itself; it didn’t take long after the emergence of mass-production for someone to come along and say “hey, we should print our logo on that.” But this conventional understanding of industrial print – print which is applied to manufactured products – is somewhat antiquated. As technology has advanced, industrial print has evolved to encompass everything from printing on unconventional substrates (e.g., synthetic stock, plastics, photographs, packaging, etc.) to adding decorative or aesthetic finishing features (e.g., foil, varnish, metallic, glitter, holographic, etc.). Almost anything that falls outside of putting “ink/toner on paper” could be considered industrial print. Lately, industrial print has been generating major buzz thanks to advancements in digital finishing technologies. Milton Glaser, graphic designer and recipient of the National Medal of the Arts once remarked: “There are three responses to a piece of design – yes, no, and WOW!” Industrial print gives you that “WOW” factor and now, thanks to the digital revolution, at a fraction of its historical cost. What would have once required hours of labouring by skilled-craftsmen is now accessible at the push of a button. And unlike traditional finishing processes, which are more effective at long-run print jobs, digital finishing is delivering shorter-run, personalized and high-impact print materials. What should I know before moving into this space? Making such a major business investment can sometimes be daunting; cost-factor aside, you must consider the time it takes to train employees to use the new technology, and how best to get the word out about your new capabilities. Don’t fret though – we have created a sure-fire way to have you up and running with your new industrial print system in no time. Download our free guide Preparing for your Industrial Print Journey. If you follow the steps outlined in the guide, your industrial print journey should be an easy, and profitable one. And don’t hesitate to reach out for help – Konica Minolta has a whole team of print industry experts dedicated to making your latest foray into industrial print as stress-free as possible. 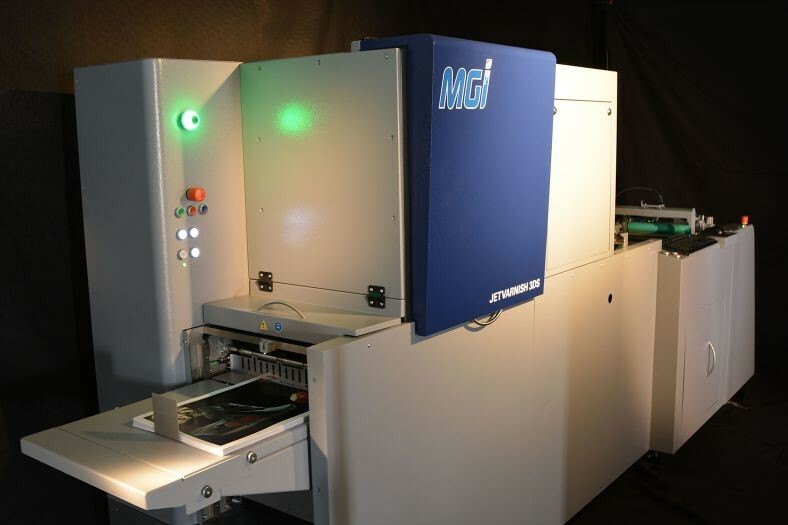 Industrial print expands the boundaries of what is possible with digital printing, and when it comes to offering value-added services to your clients, why settle for anything less than “WOW”? Norm Bussolaro has over 30 years of experience in office automation, specializing in the integration of new technologies into the workplace. Norm has held numerous roles in sales & marketing, executive management, and consultancy – including time as an independent adviser providing hands-on tactical guidance to vendors and clients for the successful implementation of printing & imaging technologies. He has acted as a ‘trusted advisor’ for many of Canada’s largest institutions and government organizations. Today Norm’s focus is on strategic marketing and the introduction of new products and services which enable the Workplace of the Future™.